As outlined in our Community Banking Customer Experience Blueprint, creating a survey to gather feedback on a particular touchpoint is one of the first steps in getting your customer experience program off the ground. Below we’ve created a transactional survey around opening a new account that incorporates the three basic rules for designing a simple and effective survey. 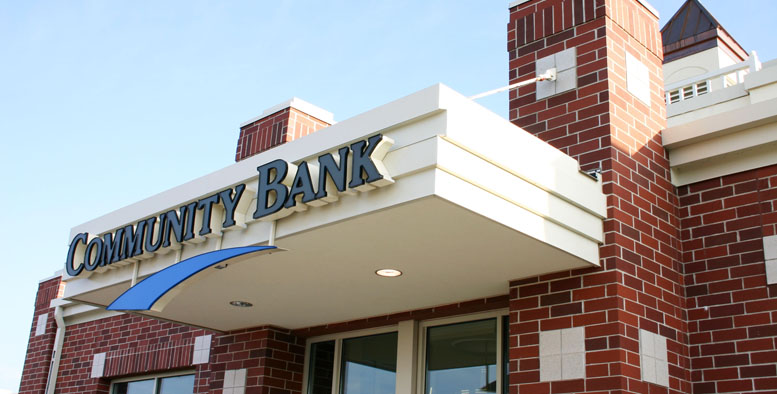 Don't have our Community Banking Customer Experience Blueprint? Download it now! Above is a touchpoint survey in Centriam’s editor. To get started creating your own survey, go here to start a free, no obligation trial. The above survey is concise, being only 4 questions, which will minimize the disruption to your customers and help improve response rates. Similarly, the questions make it clear to the respondent what is specifically being asked. For example, by separately asking how courteous and knowledgeable the associate was, we didn’t leave much open to interpretation by asking a question such as “How did the associate do?”. While it may not seem noticeable at first glance, this example incorporates information specific to the interaction in its design. It is not a generic transactional survey asking about “your recent experience”, but rather specifically calls out the interaction in question opening a new account. Just as important is what is not included in this survey. It does not ask any information that should already be known about the customer and/or the recent interaction. For example, you may want to compare satisfaction of opening an account across my different branches, but you should not ask the customer which branch they went to. Your customer experience management tool should enable you to link that information on the backend, making that analysis easy without asking your customers unnecessary questions. This example survey adequately captures the information needed to understand your customers’ experience and aggregate the data needed to take action. In order to provide reliable and consistent responses, it is important to follow questionnaire best practices for survey structure, question wording, and response scales. This survey follows our recommended structure, which includes one key metric question to serve as the leading indicator, two or three driver questions to dig deeper, and one open-text question to enable text analytics. The wording and scale of the questions follow best practices, avoiding issues such as ‘leading’ questions, and using the appropriate 5 or 7 point scale and ensuring each option is labeled clearly. It’s important to write a good survey, but it fits into a larger process. For guidance on how to select a touchpoint to survey and creating a post-survey action plan, see our Customer Experience Blueprint. For further information about the value of customer experience in community banking, see our How to get started with CX in the banking industry guide. Jake works diligently to help Centriam clients understand their customers' behavior and identify effective and creative ways to take action on those insights. Jake most recently led the customer experience analytics program at Sleep Number. Prior to that, he worked in payment analytics at Target, and also consulted with several major insurance companies. Jake holds a B.A. in both economics and political science, and an M.S. in applied economics from Marquette University.